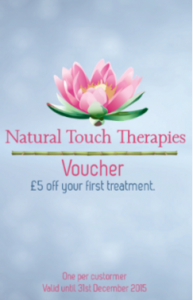 Please print out this page including the voucher on the right and bring it with you to your first reiki treatment. Phone 07948 569 164 to book an appointment. *Please keep checking this page for more offers in the future.